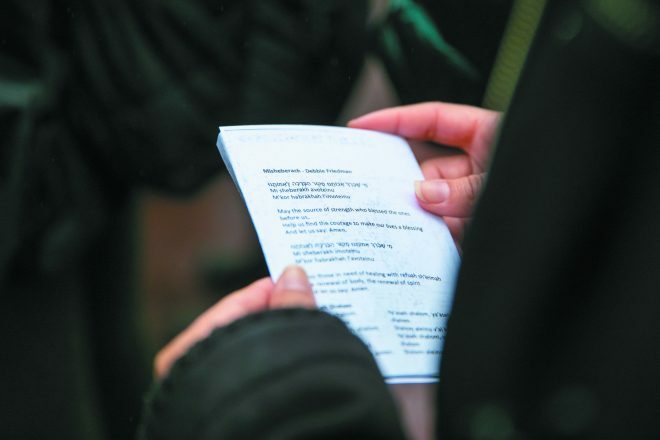 The Mi Shebeirach prayer for healing was read at a vigil Sunday sponsored by Michigan Hillel. “The 11 people killed were good people who just wanted to come to shul as they did each week to pray and study,” said Rabbi Chuck Diamond, former rabbi at Tree of Life. Diamond, who lives just around the corner from the synagogue, arrived there Saturday morning in time to speak with some who had been inside the building. Having been a rabbi at the congregation until this past year, he said he knew most of those who were killed. The Pittsburgh native spent much of this past Shabbat trying to be of comfort to families of victims. He now is leader of the spiritual community Kehillah La La in Pittsburgh. 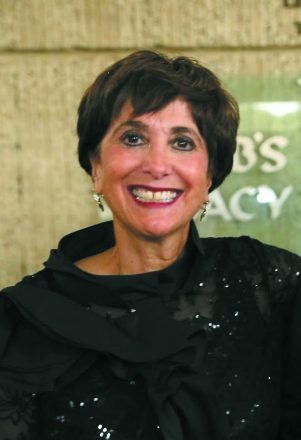 From 1988-1991, Diamond served as rabbi of education and youth at Congregation Shaarey Zedek in Southfield, where, in 1966, Rabbi Morris Adler was shot and killed during Shabbat morning services by a congregant. His family is safe, but, “I cannot stop shaking. I am sad, angry and brokenhearted,” Berkun wrote in both a Facebook post and in a blog on the Times of Israel. 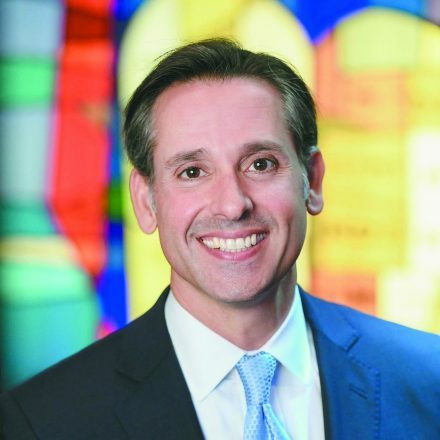 Formerly a Congregation Shaarey Zedek rabbi in Southfield, he now leads a congregation in Aventura, Fla. This past Shabbat, Jonathan Berkun’s mother wasn’t feeling well and asked her husband to stay home. “She very well may have saved his life,” Jonathan wrote. Jonathan Berkun’s own first word of the shooting was during Shabbat services, in the midst of his sermon on “the recent acts of domestic terrorism — whose investigation led straight to Aventura” (where the suspect who had been sending pipe bombs through the mail had been apprehended). Among Berkun’s first courses of action was to head for Pittsburgh. He suggests: Vote; get politically or communally active; give back; hug your loved ones; and stop sweating the small stuff. If you are Jewish, come to shul; show the haters that they will never win and learn why being Jewish matters. Study a text. Practice praying. Former Detroiter Tova Weinberg was in services Saturday morning when she learned of the attack at Tree of Life. “I was in shul at 10 a.m. I heard lots of sirens and it disturbed me,” she said. “Then at 10:10, the rabbi of our shul (Orthodox) Poale Zedeck told us there was an active shooter at the Tree of Life and all shuls in the neighborhood were on lockdown. We were all scared. The rabbi brought the kids into the main sanctuary and we started saying Tehillim. 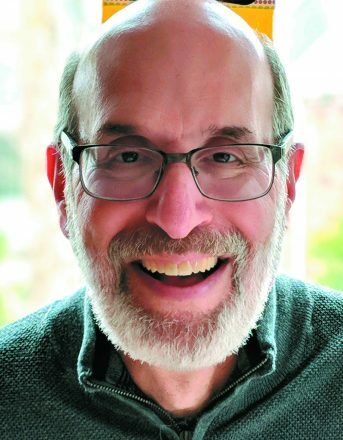 After Shabbat, they learned the heartbreaking news their beloved friend Dr. Jerry Rabinowitz had been killed during the shooting. “He was a kind, gentle doctor who cared only for his patients. He was always concerned for everyone, especially his friends and his patients,” she said. “He was looking to retire to spend more time with his wife. He was a remarkable guy in everything he did. “We are simply horrified one of our good friends was killed, along with many acquaintances,” Weinberg said. “Squirrel Hill is the beating heart of Pittsburgh’s Jewish community. You can find the entire tapestry of American Jewish life woven through the blocks of Squirrel Hill. Gary Graff grew up in Squirrel Hill. He grew up at the Tree of Life synagogue. He went to Hebrew school there, was a bar mitzvah there, confirmed there. His family was active in the congregation and the Jewish community. They owned Prime Kosher Foods, the only kosher market in the area, and Graff’s mother was Pittsburgh’s Renta Yenta, planning most of the local bar mitzvahs. “Between those two things, we knew most of the community,” says Graff, 57, and a Beverly Hills resident. Graff, a music journalist who has contributed to the JN, says his parents’ memorial plaques are at Tree of Life. “I have family members still there, cousins,” he says. “I have a 95-year-old cousin who goes to shul there every week. He’s elderly, so he depends on the community for rides. Saturday, his ride was running late, so by the time he arrived everything was closed off. Given the ages of the victims, he could easily have been sitting with them. “I spent so much time in that building,” Graff says. “I wasn’t there during the shooting, but I can imagine it; I know it so well. The area where the shooting took place was my Hebrew school class when I was there. “It was — and is — such a vibrant community. To a Jewish population so suburban [like Metro Detroit], it would be hard to imagine what a unique environment it was and is,” Graff says. “Everything was so intertwined, the families and the other synagogues. Where the vigils were held Saturday night, it’s like a village square. “I knew five or six of the victims — from the time going back to the kosher supermarket. I remember [97-year-old] Rose Mallinger. The first to be identified was the son of one of my dad’s best Army buddies. He just became a grandfather; I helped his family move into his house. These are all people who were fixtures in the community. I remember them all. Graff, a Shabbat usher at Adat Shalom, was at shul Saturday morning as his congregation celebrated its 75th anniversary. “I shared a good cry with [a fellow Squirrel Hill native] at shul Saturday night. Saturday night I was sitting in my son David’s apartment in Tel Aviv when my brother Mike received a text from a friend asking if he and all the family were OK. This is how we learned of the tragedy unfolding in Pittsburgh. We immediately turned on the TV. All of Israel watched the news from Pittsburgh. For my family, this was very, very personal. For Lori and me, Pittsburgh — Squirrel Hill — is home. It’s where we grew up. My mom, mother-in-law, aunts, uncles, cousins, nephews and nieces all still live in Squirrel Hill. Squirrel Hill is this amazing neighborhood in the city of Pittsburgh that for more than 100 years has been the center of the Pittsburgh Jewish community. Squirrel Hill is like a combination of the best from West Bloomfield, Birmingham, Huntington Hoods and Oak Park all squished together. Dozens of synagogues, at least three Jewish day schools, the JCC and other Jewish institutions all can be found in walking distance all over Squirrel Hill. Walking distance from Tree of Life. Tree of Life Congregation also houses two other synagogues: Dor Hadash, a Reconstructionist congregation, and New Light, a Conservative congregation. My cousin Anne Caplan led services at New Light Friday night. My aunt and uncle are co-presidents of New Light. I grew up with the rabbi of Dor Hadash. The education director of Tree of Life was one of my youth group kids and now a family friend. The murderer entered the Tree of Life building and went from room to room murdering people from each of these three congregations — 11 senseless deaths born from hate. Pittsburgh, like Detroit, is a very connected Jewish community. I grieve with the Jewish community of Pittsburgh. This happened in my home. Home, the place where you are supposed to be safe and secure. 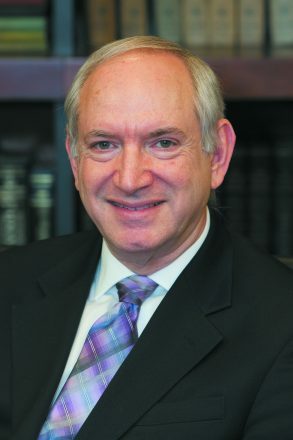 Lasday is COO of Detroit’s Jewish Community Center. 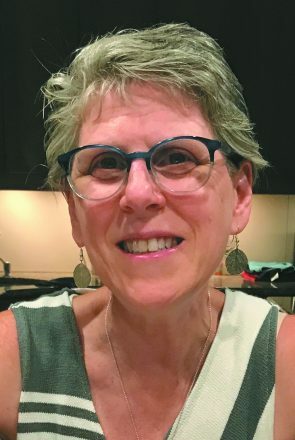 Five years ago, Carol Subar Yoffee found a lot of comfort from her Squirrel Hill neighbor Cecil Rosenthal, who made a point of repeatedly participating with the shivah minyan coming together after the death of her father, Seymour Subar. Now, Yoffee is determined to muster the strength needed to comfort the Rosenthal family as they mourn the tragic loss of both Cecil and his brother, David, brutally murdered at the Tree of Life. Yoffee, who grew up in Detroit and Southfield, was in Maryland with her husband when her cell phone started bringing in the news of the violence she never would have expected in the quiet neighborhood that has been her home for 30 years. It was Sunday morning when the shock and sadness deepened for the Yoffees as they found out who had died. Irving Younger was another friend known through real estate work. Melvin Wax had been a member of Congregation Beth Shalom, where the Yoffees belong. Yoffee, whose mother, Phyllis Subar, lives in West Bloomfield, felt some irony as an administrator at the Community Day School near the synagogue where the killings occurred. Just four days earlier, students went through a drill to prepare for a dangerous intruder.